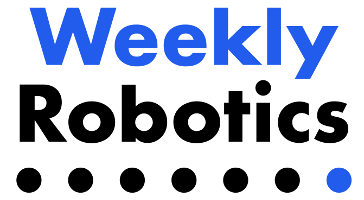 In these pages you can find all Weekly Robotics Newsletter issues released so far. This webpage will be always up to date, however if you would like to make sure that you won't miss any future issues then you can subscribe to our newsletter using the form above or you can subscribe via RSS. INFO: This build log by Roald Lemmens provides insights into development of MORPH (Modular Open Robotics Platform for Hackers) - a mobile robot driven by two hoverboard motors. The robot frame was built using aluminium profiles and the motors are driven by VESC motor controllers and use AS5047 magnetic encoders for reading wheel position. The robot control code is executed on Intel UP Board and is utilizing ROS. The source code is available on GitHub. INFO: micro-ROS is a project aiming to support ROS2 implementation on microcontrollers. The project targets boards capable of supporting Nuttx Real-Time Operating System. micro-ROS is being developed as a part of the Ofera project. 3) 3D Printing and Milling Athena Optic Bench. INFO: ESA together with Germany’s Fraunhofer Institute for Material and Beam Technology started an exploratory activity on the optic bench. The system uses two industrial robots - one is melting the titanium powder to create 3D structures, while the second one is milling away any imperfections, all while the bench is slowly turning. The role of the optic bench is to align and secure 750 mirror modules used to capture and focus high energy X-rays. The required precision of the overall shape is in few tens of micrometers. The article features this video showing the 3D printing in titanium. 4) NASA’s Mars Helicopter Completes Flight Tests. INFO: Earlier this year NASA completed a flight test of it’s helicopter destined for Mars. The helicopter weights 1.8 kg (4 pounds) and was designed to function in temperatures as low as -90°C (-130°F). The flight test were performed in a vacuum chamber prepared to imitate Mars atmosphere. During the trials the vehicle was tested at 5 cm (2 in) hover. The video of the test can be found on Vimeo. 5) The Evolution of an Arduino Project. INFO: This YouTube video shows almost 4 years progress on a DIY ping-pong ball juggling robot. The author considered several approaches for bounce position estimation such as microphones, phototransistors and vision systems. 6) RE2 Robotics Performs Robotic Disaster Clean-up at Tyndall Air Force Base in the Aftermath of Hurricane Michael. INFO: RE2 Robotics helped clean up an Airforce Base using RADR robotic retrofit kit technology implemented on Genie GTH-1256 telehandler. The setup allowed workers to teloperate the GTH-1256 to perform sweeping and debris removal, while maintaining a safe distance. 7) Publication of the week - Keep Rollin’ - Whole-Body Motion Control and Planning for Wheeled Quadrupedal Robots (2019). INFO: ETH University Researchers equipped an ANYmal quadruped robot with wheels. This paper shows dynamic locomotion for wheeled quadrupedal robots which combine the mobility of legs with the efficiency of driving. You can see the results of the paper in this YouTube video. 1) Kaarta (Pittsburgh, PA ,US) - Robotics SLAM Engineer. INFO: Kaarta is developing award-winning algorithms and systems for real-time generation of 3D models of the environment and localization relative to those models with no infrastructure (such as GPS). 2) Open Robotics (Mountain View, CA, US / Singapore, Singapore) - Various Positions. INFO: At Open Robotics, we work with industry, academia, and government to create and support open software and hardware for use in robotics, from research and education to product development. We develop and maintain the core of the Robot Operating System (ROS), and Gazebo, a 3D multi-robot simulator. 3) DFKI Robotics Innovation Center (Bremen, Germany) - Early Stage Researcher. INFO: The Robotics Innovation Center (RIC) belongs to the Bremen location of the German Research Center for Artificial Intelligence (DFKI GmbH). Headed by Prof. Dr. Dr. h.c. Frank Kirchner, here scientists develop robot systems to be used for complex tasks on land, under water, in the air, and in space. The RIC closely cooperates with the Robotics Group at the University of Bremen. 1) Open Call for Robot Operating System (ROS) The Complete Reference (Volume 5) chapters. INFO: The call for the Springer book on ROS is open until 15th of May. The book will be published by January 2020 and will mostly focus on ROS2. 2) Odense Investor Summit 2019 - Bridging the Gap Between Startups/SMEs & Investors Within Robotics, Drones & Health-tech. INFO: Odense Investor Summit is an annual, Danish-based event hosted by Odense Seed and Ventures. We gather startups/SMEs and Investors within robotics, drones & health-tech in the heart of Europe’s most dynamic robotics cluster, Odense Robotics. Carefully selected 20 companies will be pitching in front of an exclusive crowd of 120 investors. The event will also contain facilitated matchmaking, which will focus on investors and capital-seeking companies. If you would like to be one of the lucky participants, apply today via investorsummit.dk! See you in Odense, Denmark! 3) RobMoSys Demo and Info Day in Barcelona on April 11 & 12. INFO: RobMoSys is an EU based project aiming to develop a European ecosystem for open and sustainable industry-grade software development in Robotics. To reach this goal, the RobMoSys project offers coaching and funding to external partners over the runtime of 6 to 12 months. Visit the RobMoSys Demo Day on April 11th to see demonstrations of concrete examples of RobMoSys developments [more]. The Information Day on April 12th will outline the funding opportunities within the RobMoSys project for industry research organisations, universities, SMEs and individual experts [more]. INFO: If you have 5 minutes to spare we would greatly appreciate your input in the above survey. Your input is valuable to us and will help us create a better experience for you. Thanks for being with us! INFO: rosshow is a tool for visualizing ROS (Robot Operating System) topics in a terminal. Among other things it supports point clouds, images, laser scans, imu and nav sat messages. 2) NASA-funded Inflatable Robots are Safe in Space, and in Homes. INFO: Brigham Young University engineers are working on programmable inflatable robots. The advantages of inflatable robots mentioned in the video are: robots taking less space (and weight) while not in use, safety, ability to absorb impacts. 3) Airbus Begins Shore-to-ship Port Drone Deliveries. INFO: Airbus has launched shore to ship trials in Singapore. During trials Skyways, a delivery drone capable of lifting up to 4 kg (8.8 pounds) delivering cargo to vessels as far as 1.6 nautical miles (3 km) from the coast, was used. During trials the drone delivered 1.5 kg (3.3 pounds) of 3D printed parts to a ship 0.8 nautical miles away from the shore. INFO: In this post biomimetics lab (the lab that created MIT Cheetah robot presented in Weekly Robotics #28) presents their requirements for an optimal actuator. The team ended up designing their own actuator based on Emoteq HT-5001 motor and an 5.8:1 planetary gear. 5) GITAI Partners With JAXA to Send Telepresence Robots to Space. INFO: GITAI and JAXA are looking into creating telepresence robots for space activities. The robots would be working on space stations on low earth orbit, while being teleoperated from Earth. In the article you can find a video with the GITAI robot being teleoperated through a VR system. 6) Handle Robot Reimagined for Logistics. INFO: In this YouTube video Boston Dynamics showcases it’s mobile robot designed for logistics applications. The robot is designed to handle boxes as heavy as 15 kg (33 pounds). 7) Publication of the week - TossingBot: Learning to Throw Arbitrary Objects with Residual Physics (2019). INFO: This paper by researchers affiliated with Princeton University, Google, Columbia University and MIT showcases TossingBot, an UR5 robot capable of grasping arbitrary objects from unstructured bin and throwing them into target bins outside of manipulator’s workspace at 500+ mean picks an hour. The neural network developed in this project consists of perception, grasping and throwing modules. The system uses an RGB-D camera for creating a height map (later used by grasping and throwing modules) and an overhead RGB-D camera that is used to detect changes in the landing zone before and after the throw. The system achieves 84.7% accuracy in real world conditions for the objects seen during training. You can find more information on the project, including videos on the project website. 1) Rovco (Bristol, UK) - Robotics Engineer. INFO: Rovco is a fast-growing subsea robotics company focused in the renewables and offshore decommissioning sectors. We are advancing the state of the art in subsea robotics by developing the technology for live 3D vision and machine learning based data analysis. 2) Neobotix (Heilbronn, Germany) - Software developer – ROS. INFO: Neobotix develops and manufactures mobile autonomous robots for professional service robotics research. Our portfolio ranges from intelligent autonomous vehicles to mobile manipulators to tailor-made robots forhighly specialised applications. INFO: We are introducing an announcement section dedicated to robotics related announcements such as workshops, events, grants and more! If you would like your organization to be featured in this section then please get in touch with us. 1) ROS-I EU Spring ’19 Workshop. INFO: ROS-Industrial EU Tech Workshop will take place from May 6th to May 7th 2019 in Stuttgart, Germany. The workshop will focus on ROS 2, specificaly DDS/RTPS implementation, microROS and poriting of ur_modern_driver to ROS 2. The workshop is free for members of any ROS-Industrial Consortium or 500 Euro for individuals from other organizations. INFO: PathFindings.js is an open source project providing path finding algorithm for web based games. The page above provides an interactive visualization of some of the algorithms provided by the library. 2) Robot Hand is Soft and Strong. INFO: MIT researchers created an origami shaped, vacuum-powered gripper that can lift objects that are up to 100 times heavier than its weight. You can see the gripper in action on YouTube. 3) Autonomous Snowplow Makes Debut on Winnipeg Runway. INFO: Northstar Robotics developed an autonomous snow plower that is meant to be used at an airport. According to this post the machine is powered by ROS. INFO: In 2020s the partners of the International Space Station will launch a Space Gateway - a staging post much higher than ISS that could be used as an intermediate point for astronauts before going on the missions deeper into space. The gateway will weight 40 tonnes and the astronauts will be able to occupy it for up to 90 days at a time. INFO: NVIDIA announced Jetson Nano, a 99$ single board computer for AI and Robotics. The board has dimensions of 70 x 45 mm and according to the above website the board will require up to 10 watts of power. Jetson Nano will be available from distributors worldwide from June 2019. If you get one and want to install ROS Melodic on it then you might like this tutorial by Stereo Labs. 6) Robotic Dreams, Robotic Realities: Why Is It So Hard to Build Profitable Robot Companies?. INFO: This article from IEEE talks about how difficult it is to be profitable in robotics and how we should build realistic expectations for our products and avoid overselling. 7) Publication of the week - Snapbot: a Reconfigurable Legged Robot (2017). INFO: This paper introduces a modular legged robot design that can use up to 6 legs. The legs come at 2 DOF (roll-pitch or yaw-pitch) or 3 DOF (roll-yaw-pitch) variants, creating 700 possible robot configurations. The robot has snap-on connectors with 4 neodymium magnets and pogo-pin electrical connectors. The connector design combined with providing each servo with an ID allows for configuration discovery (performed every 100ms). The robot supports three types of motion: rowing, crawling and working, all depending on the leg configuration. You can see the video presenting the robot on YouTube. 1) Latent Logic (Oxford, UK) - Robotics Engineer. INFO: Latent Logic’s mission is to use state-of-the-art A.I. to learn complex human behaviours from real demonstrations, such as video data, so that we can design autonomous systems which can work collaboratively alongside humans.